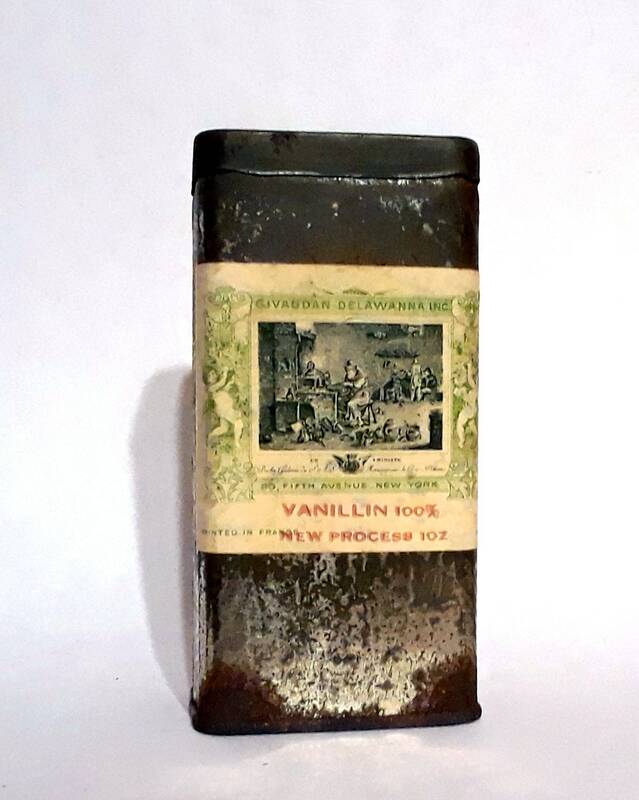 Vintage 1920s period Givaudan Delawanna Inc. tin of 100% Vanillin - being sold for display purposes only. The paper label has an image of a chemists working in an old-style laboratory environment, with cherubs in a garden as a border; the label reads, "Givaudan Delawanna Inc. Le Chimiste De la Galerie de S.A.S. 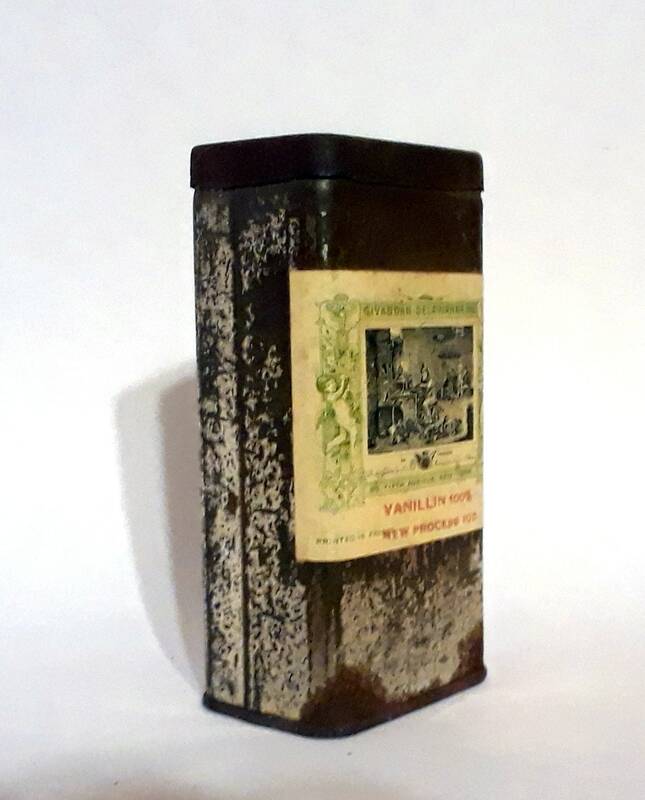 Monseigneur le Duc d'Orleans 80 Fifth Avenue New York Vanillin 100% New Process 1OZ. Printed in France". There is also a series of numbers, and letters printed on the side of the label - perhaps a date code? 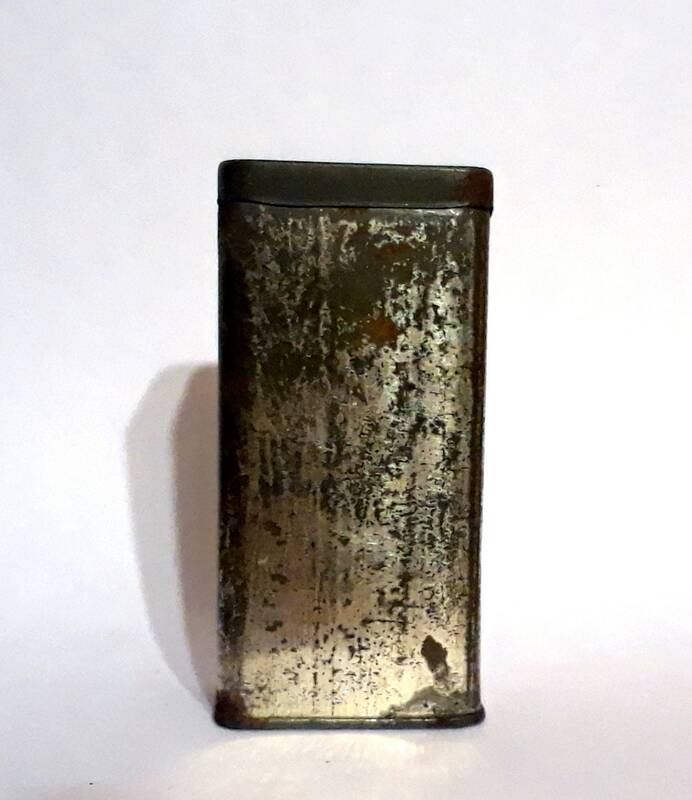 The tin measures 3-3/8 inches tall, 1-3/4 inches wide, and about 1-1/4 inches thick. 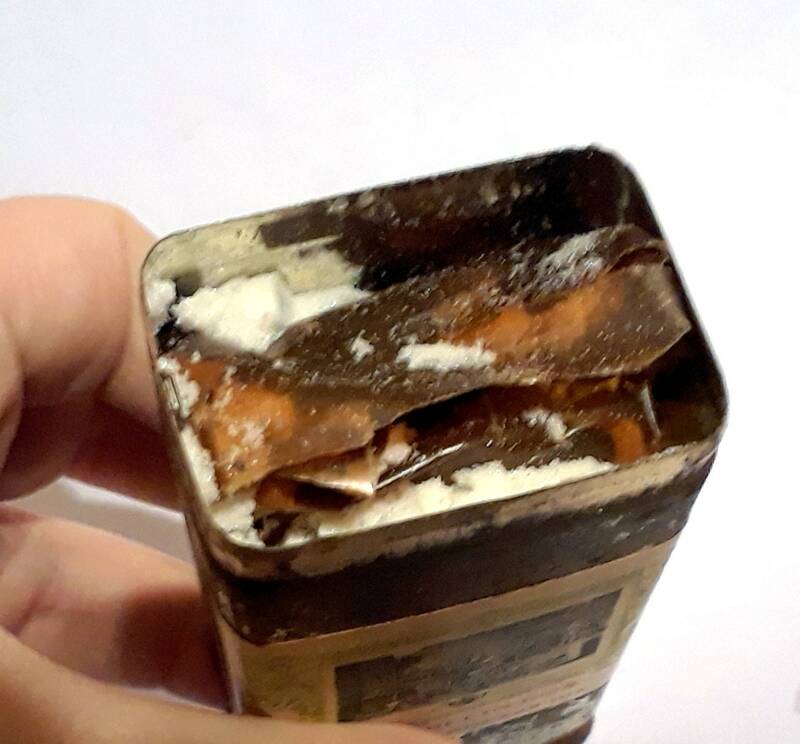 The tin has some rust, but the paper label is still intact, and legible. A small portion of the original contents remains in a brown paper wrapper (sorry to repeat - for display purposes only), and it still smells pleasantly like vanilla.